Hire our brand new Christmas Jumper design Photo Booth - Reindeers and plenty of sparkle!! 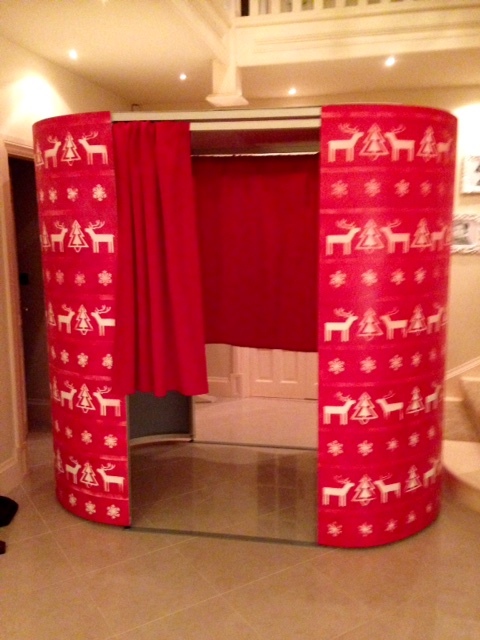 We are pleased to announce that we have a new Christmas photo booth. We still have availability if you want to book a booth for your Christmas party.. or maybe a mini grotto for a Children's event. Our brand new Grotto style booth is perfect to add that sparke to everyone's Christmas - with prices starting at £145.00 for midweek daytime bookings. Our booth butlers are DBS checked.